Health Canada says the potential risk to human health and the environment from pesticides containing glyphosate remains acceptable. 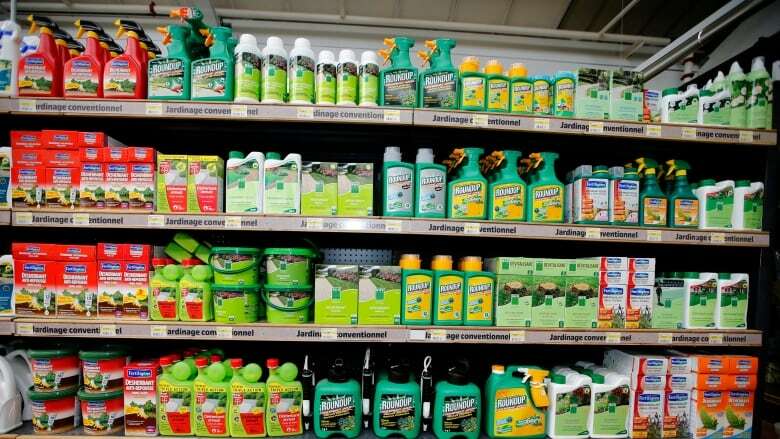 Health Canada says the potential risks to human health and the environment from pesticides containing glyphosate are acceptable, if used as directed in updated labels. The regulator published its re-evaluation on glyphosate, an herbicide sold under brand names such as Roundup and Vision, on Friday. The decision follows a standard review to check registered pesticides meet current health and environmental safety standards. Health Canada said glyphosate continues to be an important herbicide in Canadian agriculture and is the most widely used herbicide in the country. Re-entry into the sprayed areas should be restricted to 12 hours after its application in agricultural areas. The product is to be applied only when the potential to spread to areas of human activity, such as houses, cottages, schools and recreational areas, is minimal. Instructions for buffer zones to protect areas beyond those targeted as well as aquatic habitats. Glyphosate is sprayed on crops such as canola, soy, field corn and wheat. Earlier this month, the Canadian Food Inspection Agency said it detected traces of herbicide in nearly 30 per cent of food products it tested. Overall, the food regulator found 98.7 per cent of the samples were found to be compliant with the Health Canada's Maximum Residue Limits (MRLs) — the level at which they aren't a concern for human health. Of the remaining 1.3 per cent, Health Canada determined that none posed a health and safety risk, an official said. Outside of agriculture, glyphosate is used in the forestry industry, as well as by homeowners in gardens and patios.